Forum Home - > General > Native Life > Native Issues Happy native american day! I don't want a native American day, I want a Dakota day. Oh stop being a big, pouty girl ...lol... isn't everyday a Dakota day for you? I dress in Native jewelry at work and tell everyone what day it is. 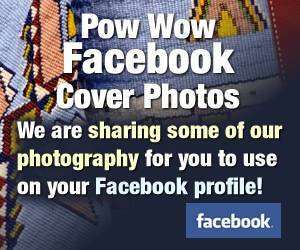 I'm going to the FDU Powwow tomorrow and Sunday. Also make sure my children think on us, today... What do you do? I didn't know it was Native American Day until I saw this thread. I decided to wear my Full Blood T-shirt that says, "Native Heart Breaker" today. We do have a whole month in November. Yes, I'm glad for November too! I work at a University in NJ. I'm trying to get guest speakers for our students and will lend them some of my Native films like "The Ghost Riders, or Smoke Signals, or Thunderheart...". Love the shirt idea. Represent! LOL. I didn't know it was Native American day until I read this topic. I guess I'll be celebrating until it turns midnight here. Cool! I didn't know there was a Native American Day! I guess I celebrate Native American Day by coming on here and chattin' with NDNs. But then that'd make almost every day Native American Day for me! Well know that I kow there is a NA day I'm gonna start dressing up like a pilgrim and telling everyone, "I'm part white ya know." Your Great-Grandmother was a Pilgrim Princess?
. You getting some for that one. I got a negative rating for saying i wear jewelry and dress tradish at work... but so few Native folks at our school, it helped that people saw me representin'. I have been working with Native producers and artist to bring more of our culture to a place where they have every kind of holiday but Native ones, celebrated. That IS gonna happen because we deserve to celebrate us. We been through a lot as peoples and we deserve their respect, even as we respect ourselves. I work to educate and enlighten a non-Native community, and bring out, proud, those who are Native. We always gotta represent, keep our language, our culture, be proud.